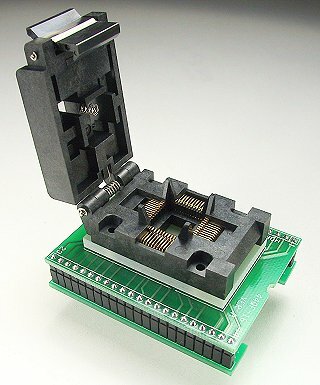 QFP Programming adapter for 44 pin QFP in 13.2mm overall package. Adapter wired 1-1. Bottom Side; Pins: 44 Pitch: 0.100"